You may be the lifesaver until help arrives. Knowing who is in charge prior to a crisis is essential.Indeed, you may be in charge of the response as the local incident commander until official help arrives. In another scenario, response to a crisis involving multiple jurisdictions involves knowing who is in charge of each jurisdiction before commencing with cross-jurisdictional coordination. Leadership in response to a health crisis also requires knowing who is in charge. Moreover, protocols, namely the Incident Command System (ICS), within the framework of the National Incident Management System, are in place to guide the response for various scenarios and stakeholders. Those who know who is in charge and who understand the ICS protocol are equipped with powerful tools for mitigating costly consequences of crises. In the words of Steve Cernak, “Before any disaster, time is your ally.It’s flexible and unlimited.However, after a disaster, it becomes your adversary.It limits your alternatives and is definitely in short supply.”In 2010, Mr. Cernak, as director and CEO of the Port of Galveston, shared this advice for large-scale crisis preparedness with public and private sector participants who convened at the 2010 ReadyCommunities Partnership symposium in Washington, D.C. 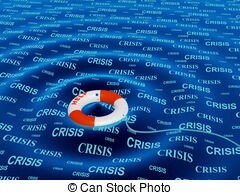 When faced with a large-scale crisis, America survives and is resilient based on the concept that each of us has a role and that we do not outsource our expectations.Our national resiliency is built on each of us assuming responsibility, that each of us must take responsibility for helping the next person until help arrives.This is the premise for the Incident Command System, initially developed to manage wildfire response.We know from experience and the ICS precedent that response is local. If you are first to arrive at the scene, you are in charge until official help arrives.For those who recommend centralization of response, the fundamental problem and issue lie in outsourcing of expectation to others who do not possess requisite knowledge of local stakeholders, resources, and circumstances. America has and must continue to harness its great traditions of volunteerism and the duty of leadership that comes with it during response to crises.In summary, imagine you are faced with a large-scale crisis.Would you like to be part of the solution? Knowing who is in charge and or taking charge at the local level until emergency responders arrive are the first steps.Together, the goal is to prevent loss of life and to mitigate unnecessary and costly and compounded consequences of falling short of preparedness. America cannot survive a large-scale or national crisis if every citizen outsources their expectation of first response. Knowing is in charge prior to a crisis is essential. Indeed, you may be in charge of response as the local incident commander until official help arrives. In another scenario, response to a crisis involving multiple jurisdictions involves knowing who is in charge of each jurisdiction before commencing with cross-jurisdictional coordination. Leadership in response to a health crisis also requires knowing who is in charge. Moreover, protocols, namely the Incident Command System (ICS), within the framework of the National Incident Management System (https://www.fema.gov/incident-command-system-resources), are in place to guide the response for various scenarios and stakeholders. Those who know who is in charge and who understand the ICS protocol are equipped with powerful tools for mitigating costly consequences of crises. In the words of Steve Cernak, “Before any disaster, time is your ally. It’s flexible and unlimited. However, after a disaster, it becomes your adversary. It limits your alternatives and is definitely in short supply.” In 2010, Mr. Cernak, as director and CEO of the Port of Galveston, shared this advice for large-scale crisis preparedness with public and private sector participants who convened at the 2010 ReadyCommunities Partnership symposium in Washington, DC. When faced with a large-scale crisis, America survives and is resilient based on the concept that each of us has a role and that we do not outsource our expectations. Our national resiliency is built on each of us assuming responsibility, that each of us must take responsibility for helping the next person until help arrives. This is the premise for the Incident Command System, initially developed to manage wildfire response. We know from experience and the ICS precedent that response is local. If you are first to arrive at the scene, you are in charge until official help arrives. For those who recommend centralization of response, the fundamental problem and issue lie in outsourcing of expectation to others who do not possess requisite knowledge of local stakeholders, resources, and circumstances. America has and must continue to harness its great traditions of volunteerism and the duty of leadership that comes with it during response to crises. In summary, imagine you are faced with a large-scale crisis. Would you like to be part of the solution? Knowing who is in charge and or taking charge at the local level until emergency responders arrive are the first steps. Together, the goal is to prevent loss of life and to mitigate unnecessary and costly and compounded consequences of falling short of preparedness. America cannot survive a large-scale or national crisis if every citizen outsources their expectation of first response.